The amazing s.e. smith and myself will be liveblogging tonight’s presidential debate, starting at 6 PM PST/9 PM EST. Go here to see our up-to-the-second commentary! We’ll see how many cracks I can sneak in about the now-infamous photo of Mitt Romney at Chipotle. 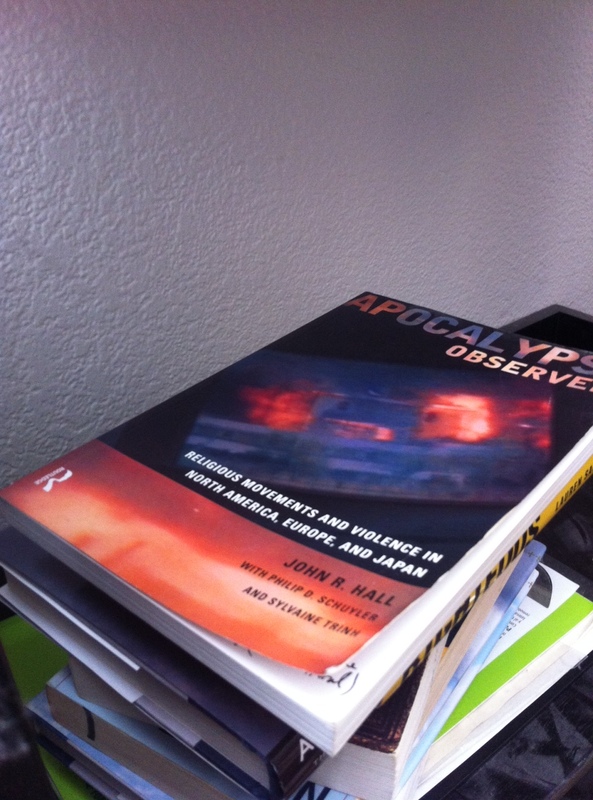 In case you find yourself in need of some reading material before then, I have recently contributed pieces to both xoJane and Biopolitical Times, and neither piece has a thing to do with the election. 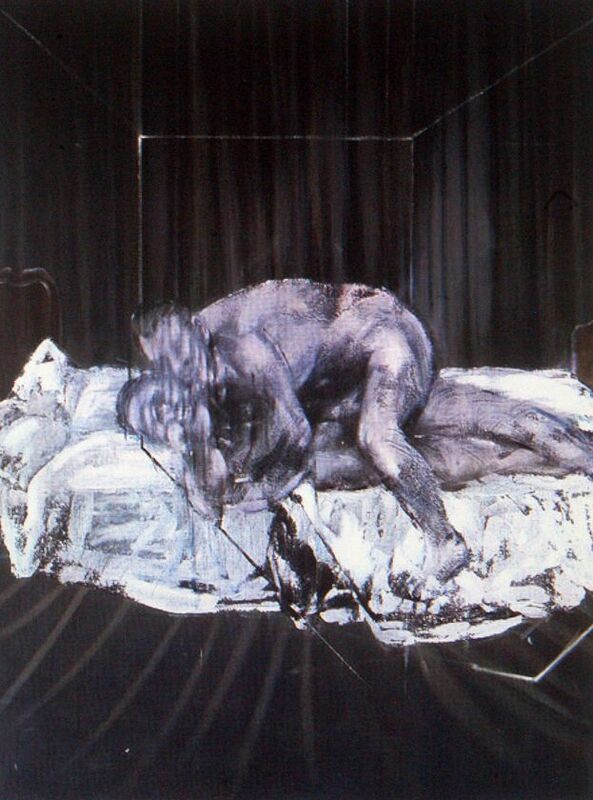 I had the opportunity to view Francis Bacon’s 1954 painting Figure With Meat at the Art Institute of Chicago recently, and the experience made me realize that I’ve never done a post about the artist on this blog (among other things)! 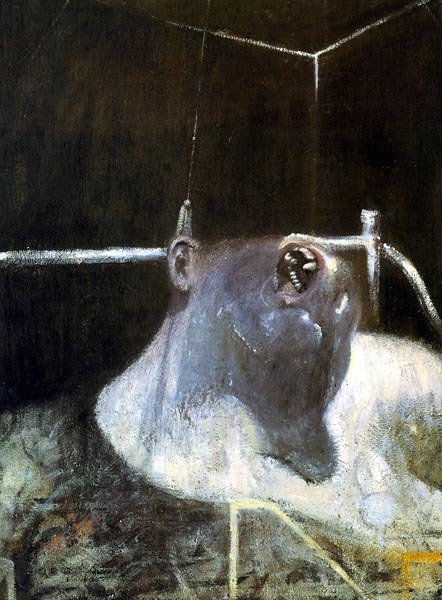 Below are some of my favorite Bacon works; what I love most about Bacon’s work is the willingness to show aspects of the human body–and certain facets of human experience, such as physical pain–that most people would rather not see. 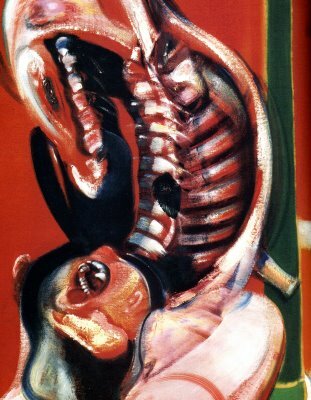 Like Frida Kahlo’s art, Bacon’s paintings can be hard to view because they so vividly portray bodies that don’t work the way they “should,” and many of his rather grotesque art speaks to me for that reason. And what other artist consistently portrays the body as simultaneously beautiful, painful…and sort of (I don’t know how else to put this) meat-like. Sometimes, I am reminded of the Body Worlds traveling exhibit when I look at these; other times, I am reminded of NIN’s (in)famous (and very, very NSFW) video for 1994’s “Closer” (check out 1:34 in, where Trent Reznor stands in front of a cleaved beef carcass, and then refer to “Figure With Meat” below). 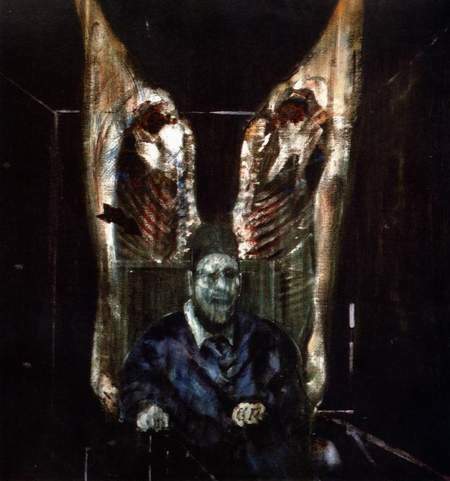 From the biographical material I have read about Bacon, I know that he probably did not have chronic pain issues, but looking at some of these paintings as a person with a body in pain (thanks, Elaine Scarry) remains a powerful experience.